The Things Network is building a network for the Internet of Things by creating abundant data connectivity, so applications and businesses can flourish. The technology The Things Network uses is called LoRaWAN and it allows for things to talk to the internet without 3G or WiFi. So no WiFi codes and no mobile subscriptions. It features low battery usage, long range and low bandwidth. Perfect for the internet of things. 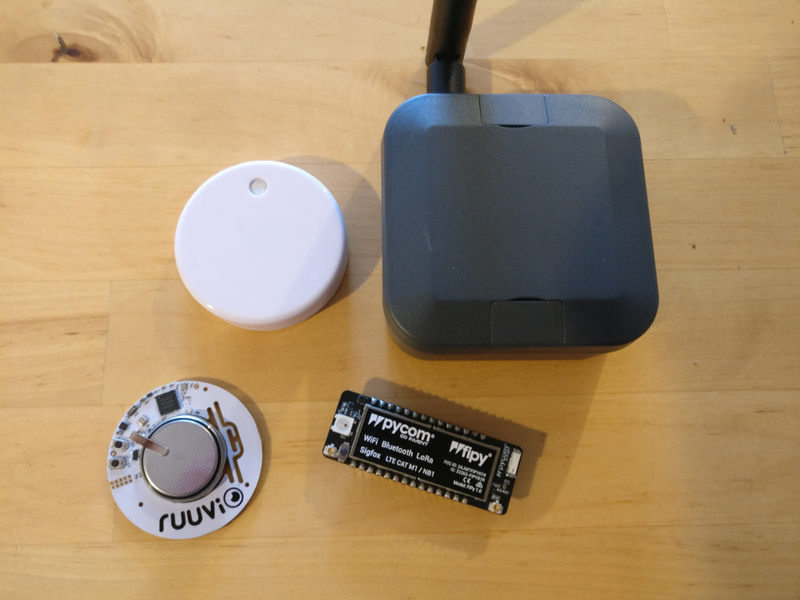 Harvest data from RuuviTag BLE Sensor Beacon with MicroPython Bluetooth enabled micro controller like the pycom devices. Micropython-ruuvitag supports Data Format 2, 3, 4 and 5. The package comes with a scanner and a tracker. The scanner scans for RuuviTags in a predefined time and return the result. This tool is maintained by Rafael Römhild, and the documentation is maintained at readthedocs.io. Navigate over to the documentation for full hardware list and instructions on setup.